...With Iraq back in the news, it's worth reflecting on the staggering price of the last big U.S. entanglement in the country — and recalling what the U.S. has already sacrificed there. 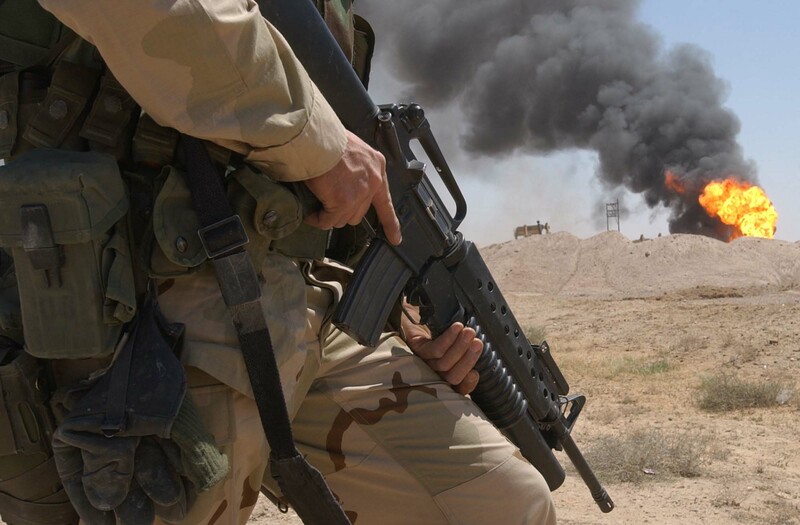 We drew from sources including various news reports, The Brookings Institute's Iraq Index, and the Costs of War Project to document money and blood spent on the Iraq war between 2003 and 2011. 189,000 direct war deaths, 4,488 US service personnel killed directly, 32,223 troops injured (not including PTSD), 134,000 civilians killed directly, 655,000 persons who have died in Iraq since the invasion that would not have died if the invasion had not occurred, 2.8 million persons who remain either internally displaced or have fled the country, $1.7 trillion in war expenses spent by the U.S. Treasury Department as through Fiscal Year 2013, $5,000 spent per second, $350,000 to deploy one American military member, $490 billion in war benefits owed to war veterans, $7 trillion projected interest payments due by 2053 (because the war was paid for with borrowed money), $20 billion paid to KBR, contractor responsible for equipment and services, $3 billion KBR payments Pentagon auditors considered "questionable", $60 billion paid for reconstruction, (which was ruled largely a waste due to corruption and shoddy work), $12 billion per month of the war by 2008, $7 billion owed to Iraq by the U.S. after the war (mostly due to fraud), $546 million in missing spare parts; 190,000 guns, including 110,000 AK-47s, 40 percent increase in Iraqi oil production, $5 billion in revenue from Iraqi oil in 2003, $85 billion in revenue from Iraqi oil in 2011, $150 billion oil companies are expected to invest in oil development over the next decade, $75 billion expected to go to American subcontracting companies, largest of all Halliburton, 0 Nuclear Weapons of Mass Destruction found (though a bunch of chems were discovered, pre-1991 Gullf War & garage kit stuff). 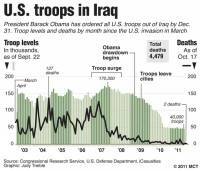 Anyone know of reliable numbers breaking down the costs of the 2003-2011 Iraq War, the post-war turmoil, and the 2015 Back to Iraq sequel? The quote was also reported on by The Daily Beast. 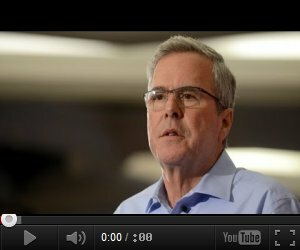 Bush was speaking at a forum sponsored by Americans for Peace, Prosperity and Security at St. Ambrose University in Davenport, Iowa, according to the website. The Beast reported that Bush went on to say he didn't want to hypothesize about what would have happened if his brother, former President George W. Bush, had not ordered the invasion of Iraq, which led to the toppling of Hussein. 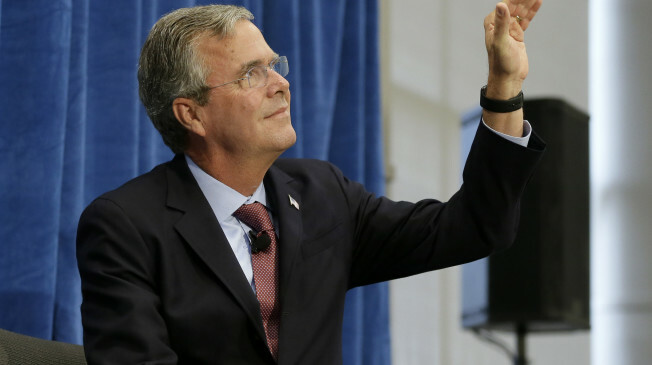 "Then that's back to the future and you could make a movie," Jeb Bush said, according to the Beast. Bush has previously said "premature withdrawal" in Iraq created the void for the the Islamic State terror group. The former governor has struggled, since announcing his candidacy, with questions regarding Iraq, the 2007 surge, and the role his brother played in the country after 9/11. 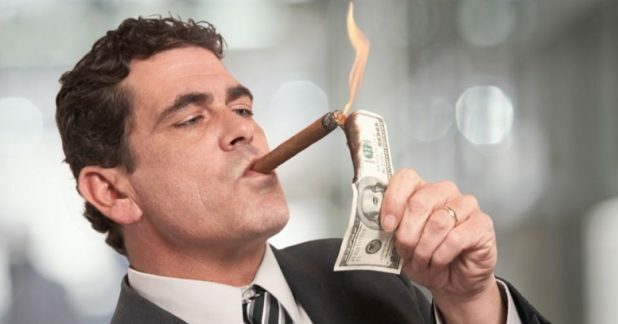 Meanwhile in boardrooms across America. It really would have economically worked out, over the next couple decades, had Iraq turned into a flourishing nation full of oil and petrodollars. Except then Obama said "eh dont care" and pulled the occupation force out that was holding the country together, handed it over to Khameini and Al-Baghdadi. Oops, guess no more return on investment. Or the fact that the Iraqi government hammered out an agreement with George W. Bush that all US forces would leave Iraq in 2011 and President Obama honored that agreement. 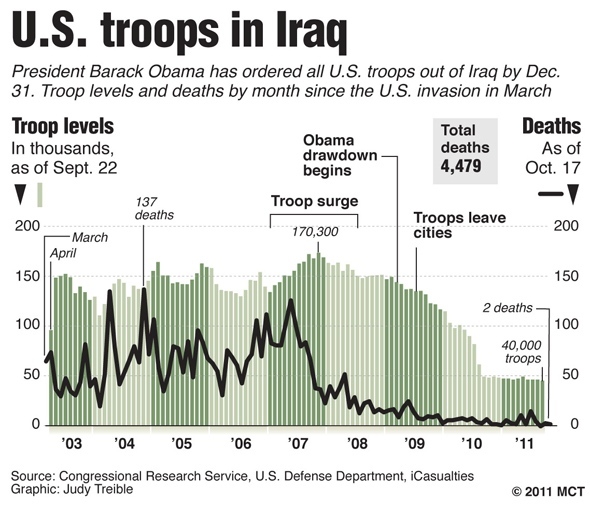 - A graph of the US troop presence and casualties during the Iraq War.